Arosa Rio Hotel offers air-conditioned rooms with free Wi-Fi. It is located in downtown Rio de Janeiro. Parking and a 24-hour room service are available. The accommodation at Arosa Rio Hotel includes an LCD TV, sofa and minibar. Each room has a differentiated décor. Buffet breakfast includes a variety of fruits, juices, breads and cold cuts. 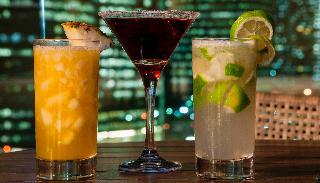 The menu includes various Brazilian and international specialities, as well as tropical cocktails. 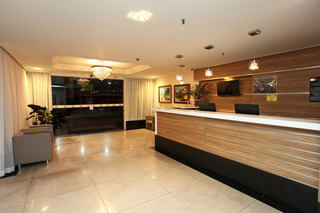 This hotel is located 1 km from the Sambadrome on Sapucaí Avenue and 4 km from Santos Dumont Airport. Copacabana Beach is 10 km away. *Parking: 35 R$/day. 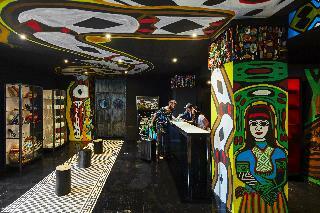 This lovely hotel is set in Rio de Janeiro - Centro. Apart from the services and amenities offered, travellers can take advantage of the wired and wireless Internet connexion available in public areas. This accommodation does not offer 24-hour reception. No pets are allowed on the premises. The hotel is located in Porto Maravilha, a new area near the city's main tourist attractions: the Sambadrome (1.2 mi), Corcovado (6.3 mi), Sugar Loaf Mountain (6.2 mi), Museum of Tomorrow (1.7 mi) and AquaRio (0.9 mi). Easy access to the Novo Rio highway and Santos Dumont and Tom Jobim Airports. Enjoy the comfort of a hotel with a pool, sauna, hot tub, fitness center, restaurant, bar and meeting rooms for all types of events. 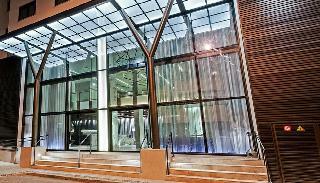 For business or leisure, the Novotel RJ Porto AtlÃ¢ntico is the place for you. The ibis Rio de Janeiro Porto AtlÃ¢ntico is a modern budget hotel, located in the Santo Cristo neighborhood, three blocks from the sea. It offers rooms with comfortable beds, air conditioning, cable TV and free WIFI. The hotel also features a delicious breakfast buffet in the restaurant. All of this 0.6 miles (1 km) from the Novo Rio highway, 1.6 miles (2.5 km) from Porto Maravilha and 3.7 miles (6 km) from Santos Dumont Airport. What's more, small dogs are also welcome. 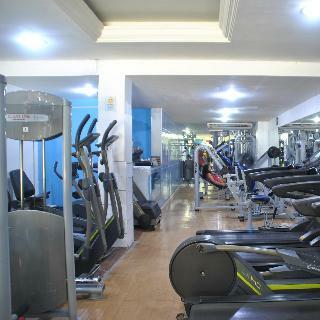 The Fluminense Hotel has 84 renovated rooms, a function room, swimming pool and partnership with gym. In the center of Rio de Janeiro, we offer our guests a privileged location, close to the business, cultural and gastronomic center of the city. Next to the traditional bohemian neighborhood of Lapa, it is 10 minutes from the Santa Tereza district, close to the most famous tourist spots of the city, such as Sambódromo, Cristo Redentor, Sugar Loafers. Also located near the Museum of Tomorrow, Olympic Boulervard, Aquarium, Santos Dummont Airport and near the most beautiful beaches of Rio de Janeiro and postcards of the city. 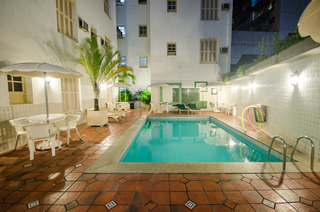 The Mama Shelter Rio de Janeiro hotel has 55 rooms, a bar and a restaurant located in the bohemian district of Santa Teresa, a paradise for artists, tourists and locals, where you can eat, drink and enjoy yourself before a night at the Mama. The hotel is located close to the center of the city, as well as the main southern districts in the city such as Flamengo, GlÃ³ria and Botafogo, and major tourist attractions including Christ the Redeemer, Sugar Loaf Mountain and various museums.